Do you like the photography? Want to be a cameraman and share the video with friends? GoPro Studio you need to have one. Take the video is the first step, edit the video is fatal. If you shot on a Panasonic AVCHD camera, then you are so happy to import MTS video to GoPro Studio ans are ready to roll up your sleeves to edit the video, however you fail to import MTS video to GoPro Studio, it's so disappointing. MTS is a file extension for an AVCHD (Advanced Video Coding High Definition) video clip format for high-definition video. Even though GoPro Studio can support many camera record video, most camera is HERO5 Black, HERO5 Session, HERO4 Black and so on, most the export video formats is H.264 MP4. MTS video is not acceptable by GoPro Studio. To most users, this trouble is pesky. Don't be panic, here, you will find the way to edit MTS in GoPro Studio. Most users are struggled to find the solution to import MTS to GoPro Studio, maybe you need this: A MTS Video Converter, this tool can help you to edit MTS in GoPro Studio without any trouble. Amazing? The principle is easy, you just need to convert MTS to GoPro Studio supported video formats, such as: Universal MP4. Another problem is coming: Which one tool you need to choose? 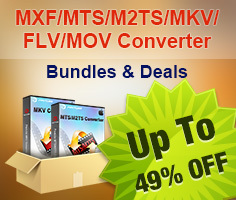 Pavtube MTS/M2TS Converter for Mac (Windows) is a professional MTS Video Converter, you can have a try. Why Recommend this MTS Video Converter to You? 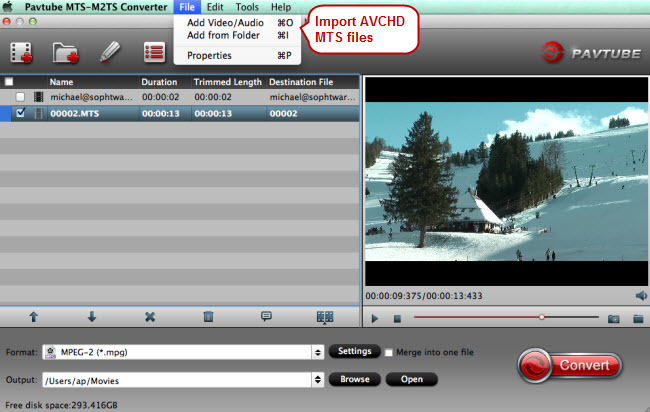 * You not only can import MTS video to this software, also you can input M2TS, M2T, TS, AVCHD, MOD, TOD to this software. *Multiple output video formats: H.264/MPEG-4, DivX, XviD, MKV, MP4, AVI, etc, Of course, here, H.264 MP4 is the best option and no quality loss. *Optional video quality: Video resolution is important for enjoyment, here, you can choose 1920*1080, 1280*720, and 1440*1080. *Various playback and editing selection: This MTS Video Converer provides common video formats which are suitable for Apple products, Android devices, media players, NLE programs: FCP, iMovie, etc. *A magic 2D to 3D Converter: You can get 2D/3D AVCHD/AVCHD Lite footage for playing with 3D effect. In fact, you can also edit video and adjust the video parameters in this software, more information, you can read this review, hope you can find the features you want. This MTS Video Converter is easy to install and open. 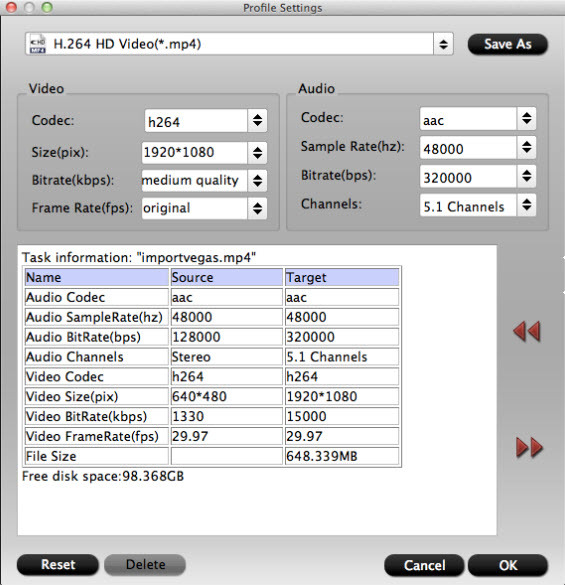 On the main interface, click "File" menu, select "Add Video/Audio" to add MTS file to this software. In addition, you can add many MTS files to a folder, then select "Add from folder" to import multiple MTS files to the program. Why? because this software can support batch video conversion which can save much time and energy. This step is you are struggled to find, click "Format" to open the formats list, here, you can find many category, there are many video formats at every category, you can choose "H.264 HD Video(*mp4)" from "HD Video", also you cna choose this option from "Common Video"
This is not the necessary step, you can click "Setting", here, some basic video and audio parameters are ready for you, you can adjust the video resolution, change the video frame, choose dream audio channel, etc. If you don't know the detailed parameters, you can keep original setting. 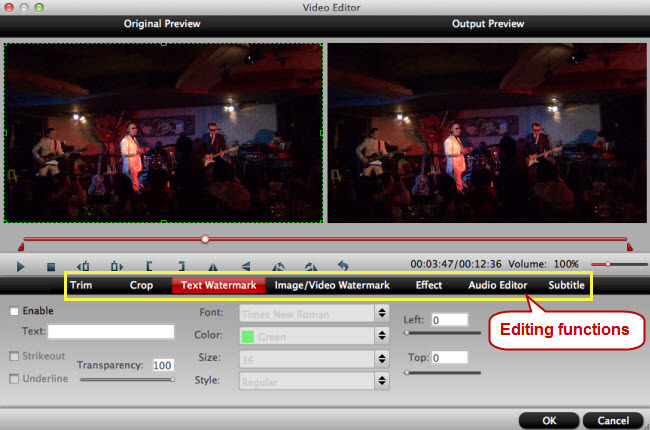 Even though this software is not the professional video editor, you still can adjust some basic video effect, you can cut the video for smaller video size and shorter video length, you can add subtitles to video, like: SRT subtitles, SAS subtitles, you even can replace and add new music to video, so cool. Don't forget this step, final video conversion switch: "Convert" button which at the bottom of main interface, press the button boldly, wait for a while, the short time will bring you a perfect converted MTS video. This MTS Video Converter is easy to do? 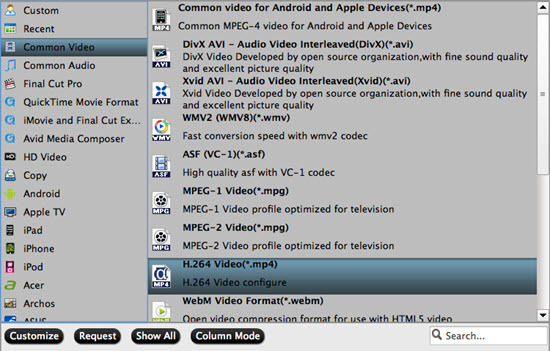 If you meet other video formats and editing issue in other NLE editor, this software can give you a hand. In addition, you meet any problem when you are using this software, you can contact the service, you will get the reply as soon as possible.